"A gutsy, wholly original memoir of ragged grace and raw beauty." From the memories of a childhood marked by extreme poverty, mental illness, and restrictive fundamentalist Christian rules, Janisse Ray crafted a memoir that has inspired thousands to embrace their beginnings, no matter how humble, and fight for the places they love. This edition, published on the fifteenth anniversary of the original publication, updates and contextualizes the story for a new generation and a wider audience desperately searching for stories of empowerment and hope. Janisse Ray grew up in a junkyard along U.S. Highway 1, hidden from Florida-bound travelers by hulks of old cars. In language at once colloquial, elegiac, and informative, Ray redeems her home and her people, while also cataloging the source of her childhood hope: the Edenic longleaf pine forests, where orchids grow amid wiregrass at the feet of widely spaced, lofty trees. Today, the forests exist in fragments, cherished and threatened, and the South of her youth is gradually being overtaken by golf courses and suburban development. 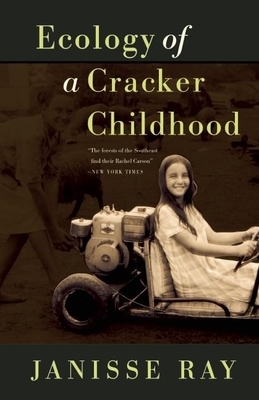 A contemporary classic, Ecology of a Cracker Childhood is a clarion call to protect the cultures and ecologies of every childhood. Writer, naturalist and activist Janisse Ray is the author of six books of literary nonfiction and poetry. She has won the Southern Booksellers Award, the Southeastern Booksellers Award, and an American Book Award. Ray lives and works on a farm in Baxley, GA.